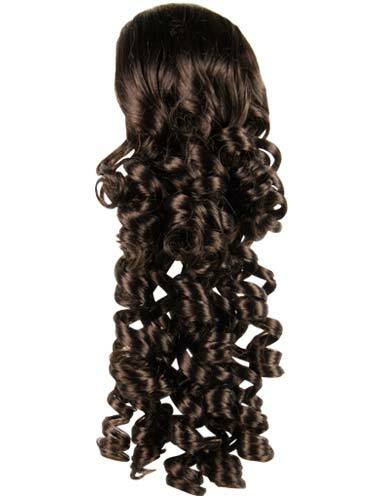 The Cute hairpiece is a delightful bundle of volume that will add fabulous depth and waves in a matter of moments. Simply tie your hair up into a ponytail, or bun and then place your hair into the pouch. Then slide the downward claw into your own hair and secure. 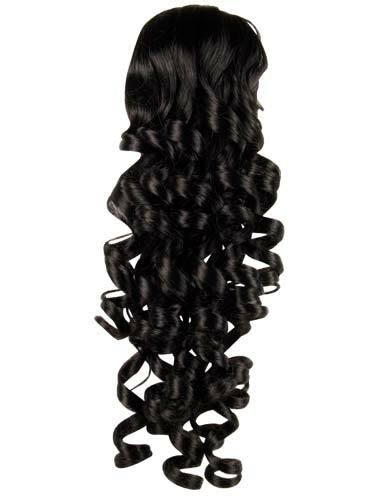 The soft spiral curls achieve a high fashion look in an instant without the need for tongs. The hairpiece is simple to use and have the ability to transform your look quickly. Lovely ponytail delivered in record time (ordered Sunday received Tuesday am) and I've finally found my ideal colour match (I have lots of tones in my hair and can wear golden brown or ginger brown but chocolate copper is perfect!). Ponytail is very curly and fabulous and gorgeous, easy to attach (even for someone not very good at the hairstyling stuff) and looks very realistic. Really delighted with the quality, ease of ordering and delivery. Also impressed with lovely packaging. these hairpieces make my day as they clip into my thinning (because of illness) hair and make me look like myself again - and better!! I'm now wearing one all the time, as they make me feel so much better! I've tried other retailers and not been as impressed. Will be ordering again.